Seattle is one of my favorite cities. On a recent trip, I revisited some of my favorite places as well as a took in a few new sites. My favorite downtown hotel is the Hotel Vintage Park. The Fairmont Olympic is also gorgeous. This time my friend, Lory, and I went for economy and location so we stayed at the Executive Hotel Pacific. 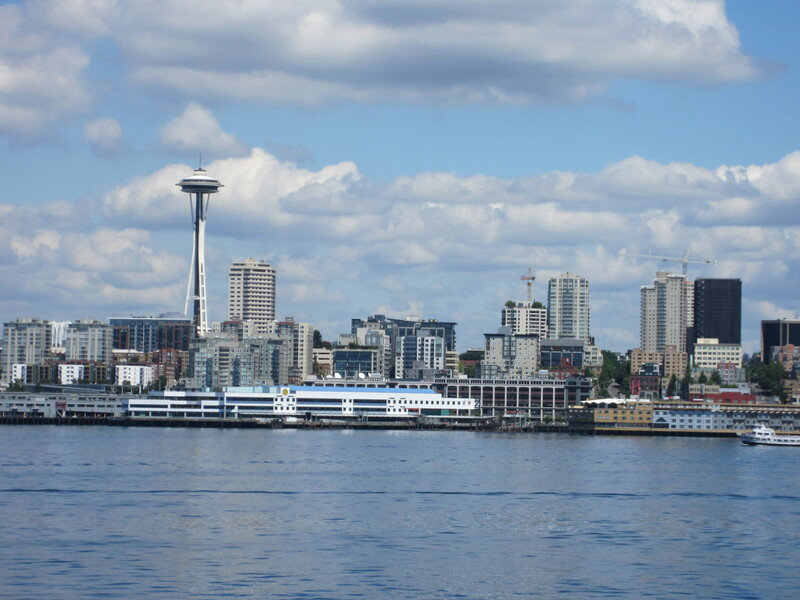 All are conveniently located in downtown Seattle where sight-seeing, shopping, and dining are within walking distance or a short ride on public transportation. Catch the monorail at Westlake Center ($4.00 round trip) to the Seattle Center (www.spaceneedle.com). The Space Needle was built in 1962 for the World’s Fair. Take the glass elevator to the observation deck for a panoramic view or make reservations for lunch or dinner at the revolving SkyCity restaurant. 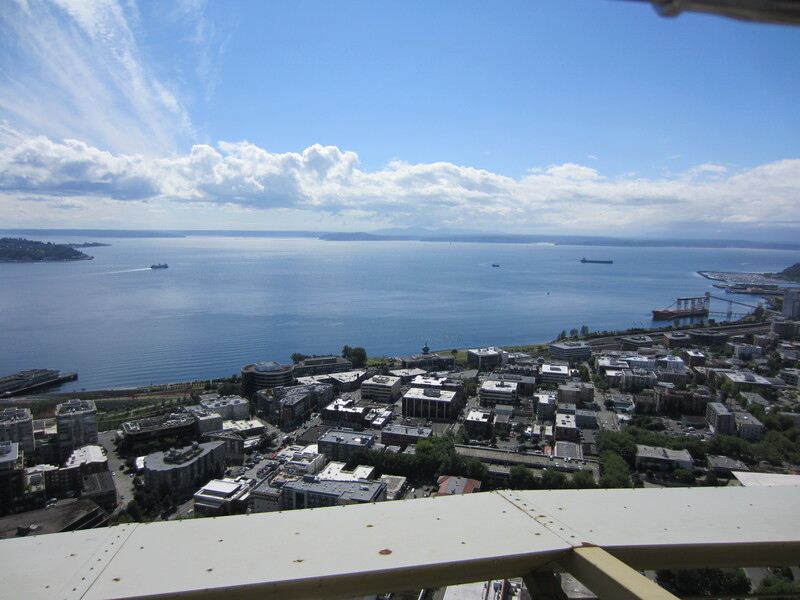 This was my fourth visit to the Space Needle and, not being a fan of heights (it is 605 feet tall! ), this was the first time I’ve ventured outside the enclosed observation deck. (The most memorable trip happened a few years ago with my friends Stephanie and Kimberly when I ended up in the gift shop with a sweaty anxiety attack). On the other hand, this was a beautiful July day and I wanted a picture. So, after taking a deep breath, I bravely opened the door and stepped outside. It’s amazing the picture is so clear. I’m sure the camera was shaking as I gingerly held it in the square formed by the wired grate. I had the camera’s arm band wrapped around my wrist for fear that the camera would shake out of my hand and over the side. I went right back inside and longingly eyed the pitcher of sangria before catching the elevator back down to the gift shop where I triumphantly checked out the souvenirs with no anxiety at all. 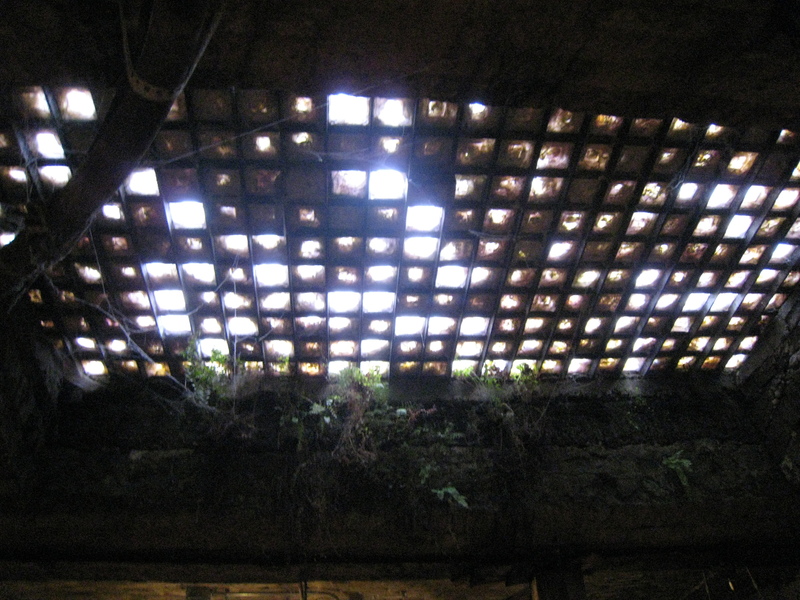 Head down to Pioneer Square and take the Underground Tour (www.undergroundtour.com). 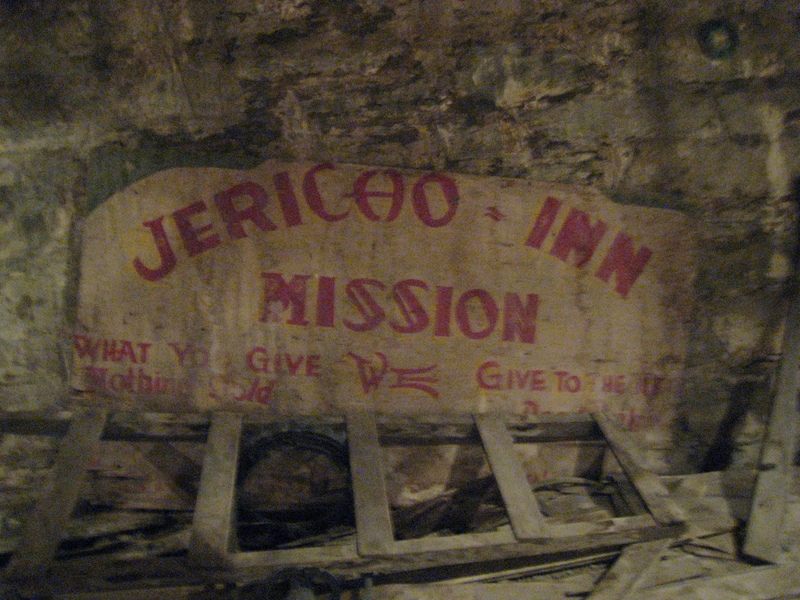 The underground passageways wind around below the city streets which at one time was actually street level. The guide tells stories about Seattle’s colorful past as you look up and see people walking on the present day sidewalk above your head. Before leaving Seattle, be sure to visit the Pike Place Market (more info in an upcoming post). 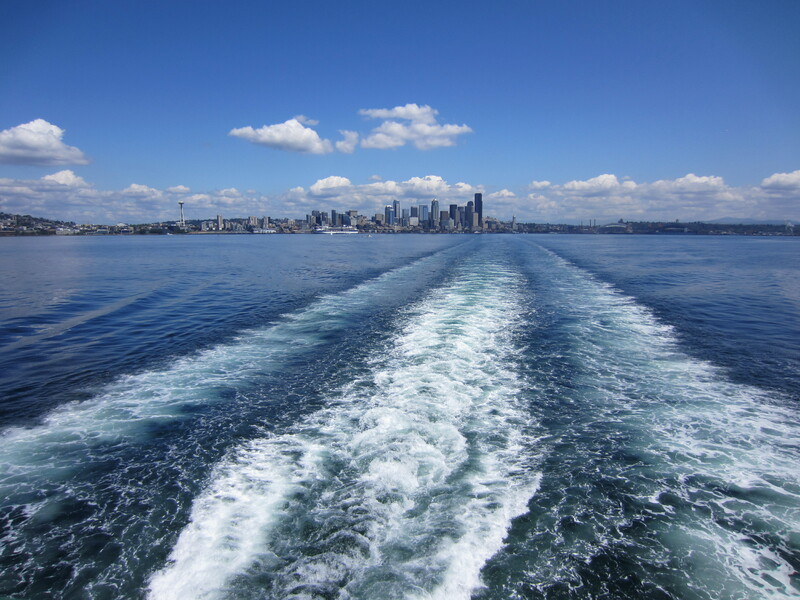 Take the Bainbridge ferry and explore Bainbridge Island or continue onto the Olympic Peninsula. Take a moment to look back and enjoy the view. 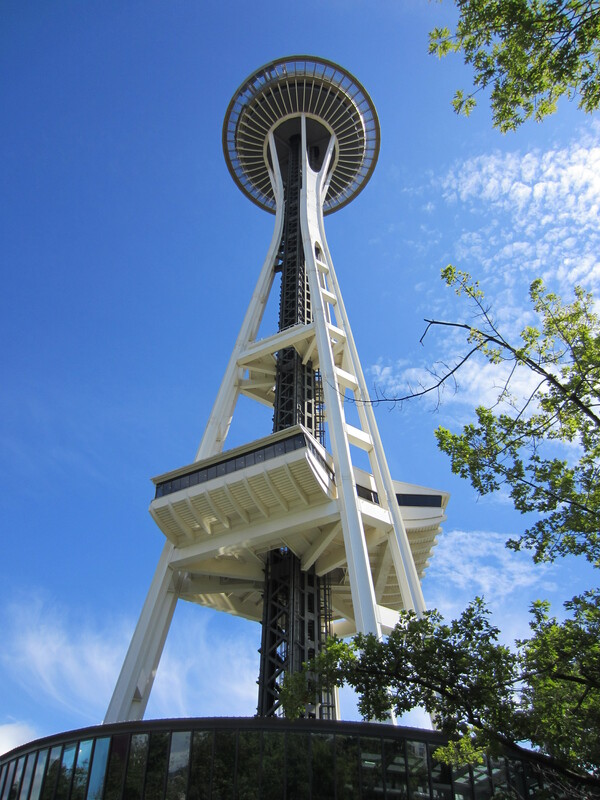 This entry was posted in Northwest USA and tagged Seattle, Space Needle, Underground Tour. Bookmark the permalink.